The X reels are designed for lightness, strength, smoothness and speed. The XS featured here for line weights 3-4. 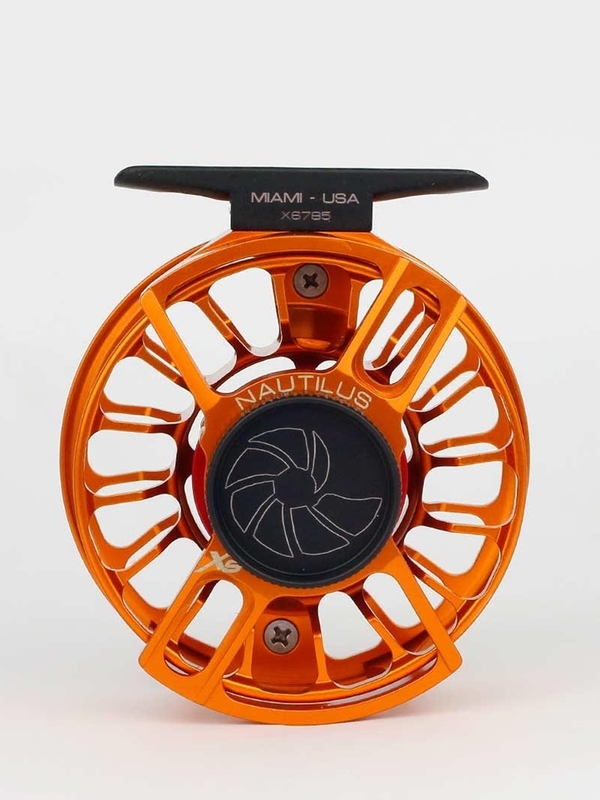 The spool is a new spin on their ultra light, award winning Giga arbor design. It is lighter than any spool of a similar size they have ever made. Available in three frame sizes but featured here is the X Small - 3.0” diameter, 3.8 oz, which is for line weights 3-4. Available here in the Custom Shop Orange color which adds $100.00 to the base price. * SCFX Drag- The totally new SCF-X drag is a sealed Teflon® and carbon fiber disc drag system. It is adjusted with a generous drag knob that offers superior gripping surface and texture for wet and cold fingers. * TPX- Nautilus precision engineered thermoplastic TPX bushings are feather light, self-lubricating, inert (no corrosion) and have zero wear. This means that you have the smoothness of a bearing without the weight and with a longer lifespan..
* ActivSeal- Perpetually repels contaminants from braking system. * Giga- The Uber arbors of fly fishing reels. Reel in more than a foot per turn of the handle. A unique design feature of these spools is grooves that let the bottom of the backing breathe to promote faster drying. The giga arbors have redefined large arbor reel design. 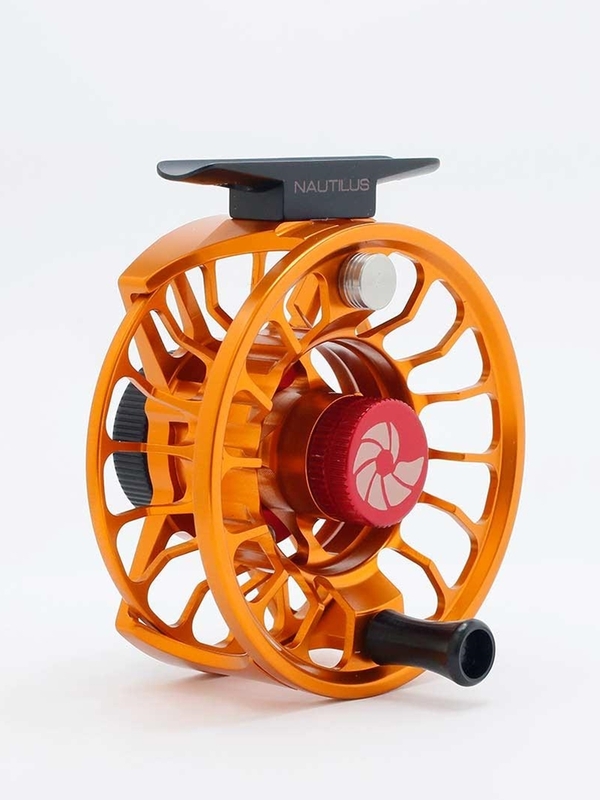 The Nautilus XS (Small) fly reels and spools listed here. They will hold 100 yards of 20lb backing with a 3wt and 85 yards with a 4wt. These reels weigh 3.8 ounces and have a 3.0" diameter.